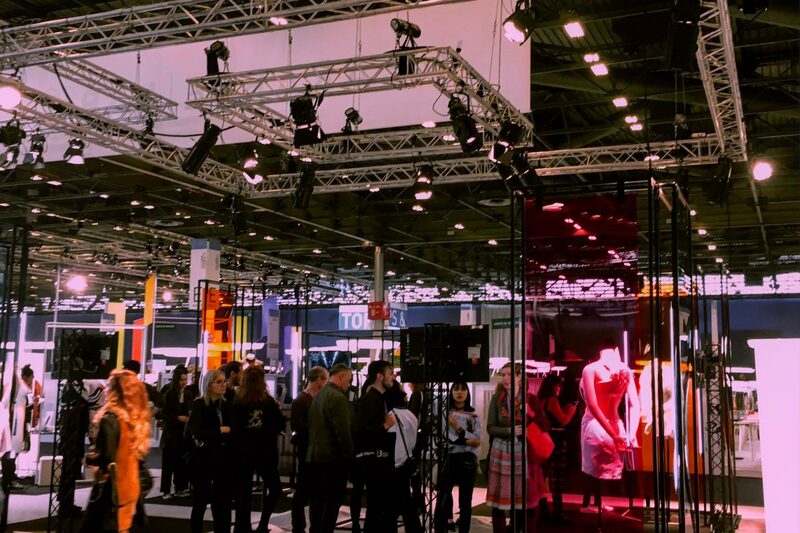 Anyone who has ever visited the Première Vision Paris knows that this is the point of reference for the future trends in textiles and fashion. The fair showcases anything from yarn, fabrics, knitwear, jeans, leather to manufacturing solutions and designs. 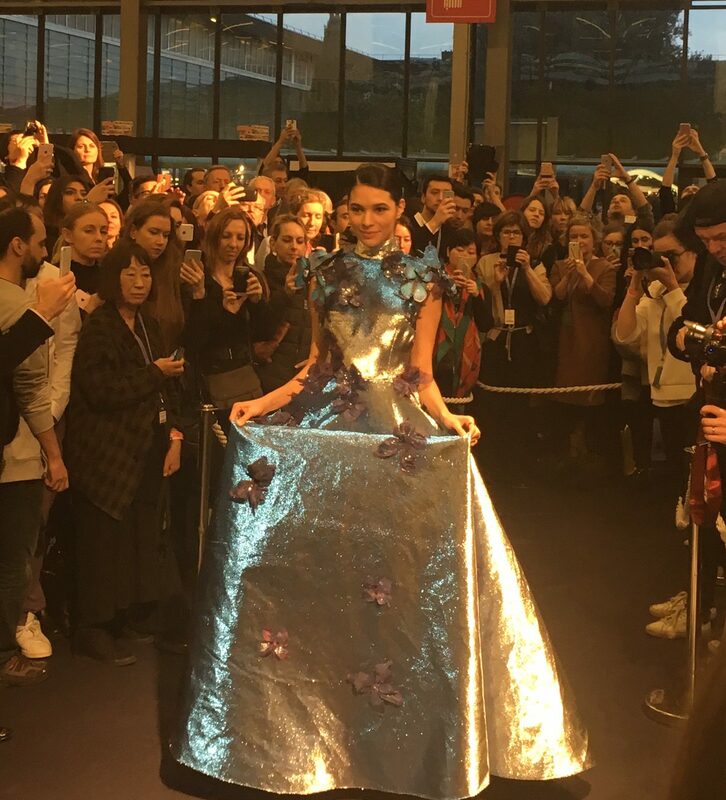 This year Première Vision proved to be one of the most forward-thinking events in the fashion industry. 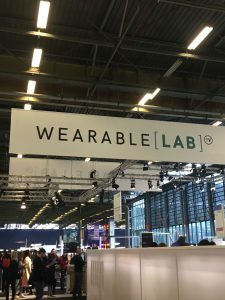 After having launched a collaboration with the R3iLab programme in September 2015 and creating the Accessology area in 2016, in February 2017 Première Vision Paris launched the Wearable Lab. 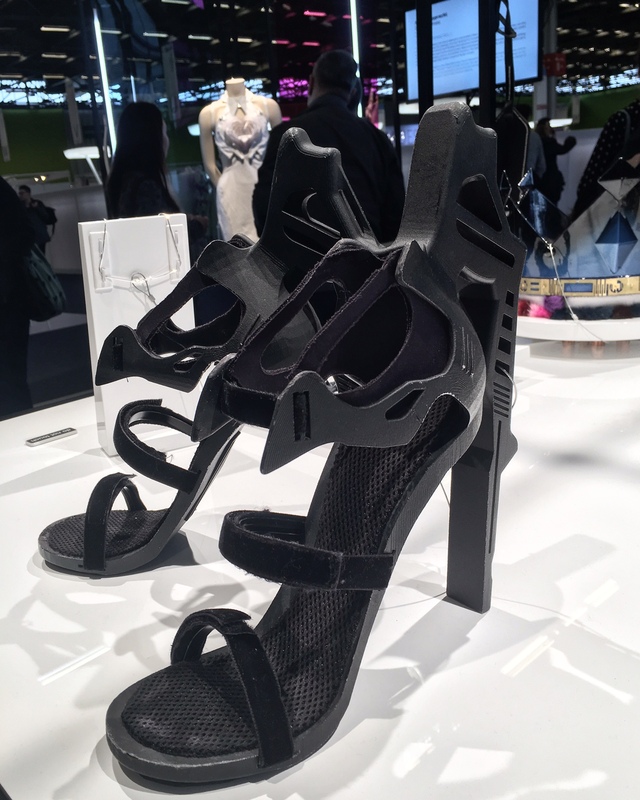 It is a space dedicated to FashionTech, exploring the fusion between fashion and new technologies. 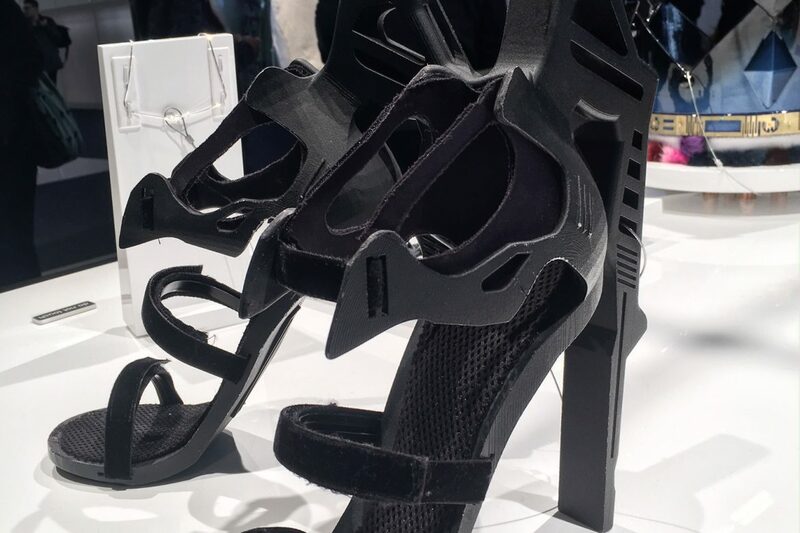 The approach of the Wearable Lab is twofold: on the one hand it showcases experimental creations that inspire and show possible future applications of technology in fashion, on the other it shows very practical products that are already being commercialised. 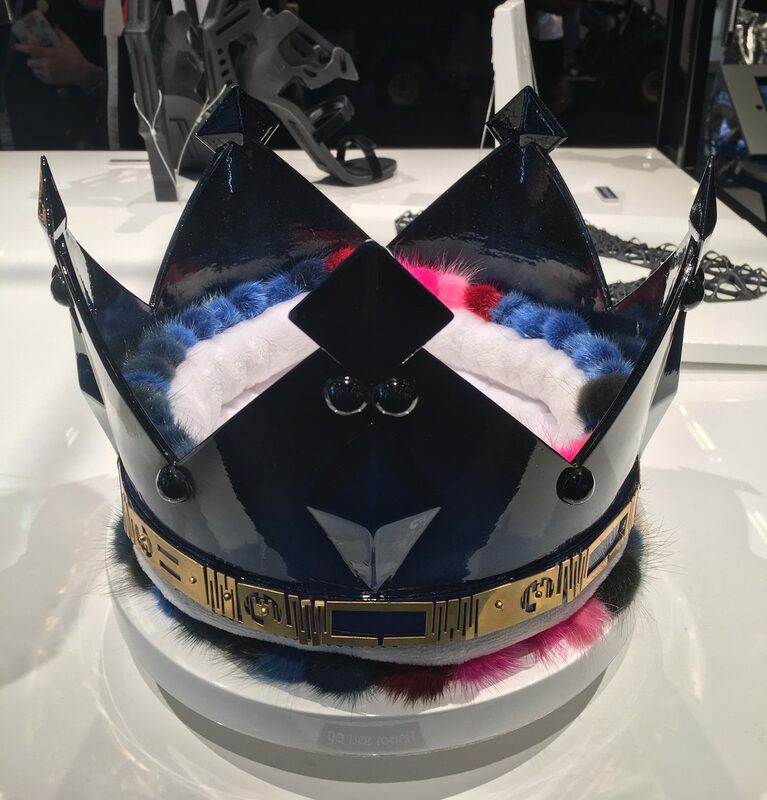 Amongst the artists invited to show their creations was a FashionTech veteran, Anouk Wipprecht. 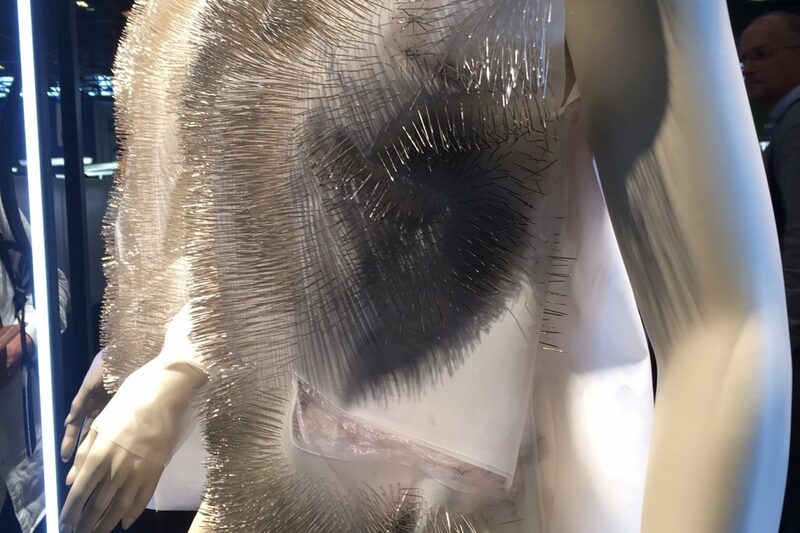 Anouk studied fashion design and engineering and is continuously pushing boundaries in applying science and technology to create her experimental, yet very feminine dresses. As Anouk explained during a dedicated conference at Première Vision, she is inspired by different interactions happening when people enter one’s personal space. 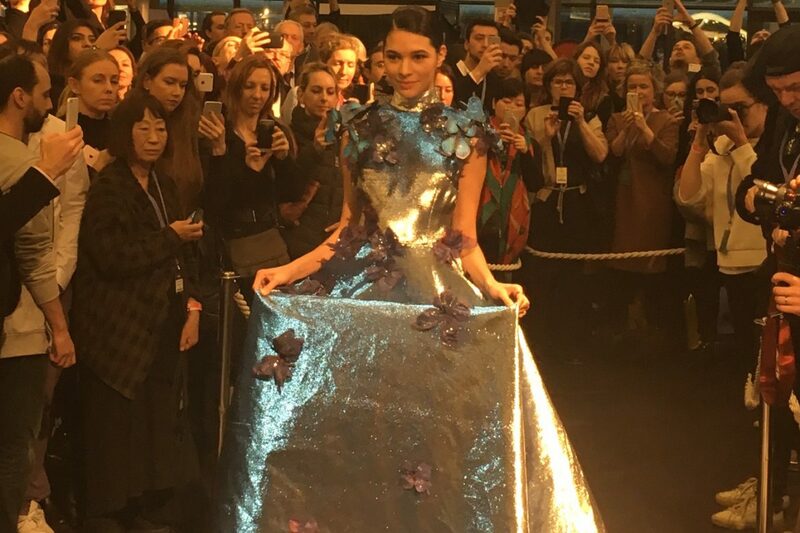 Her ‘Spider Dress’ created in collaboration with Intel is a perfect example. 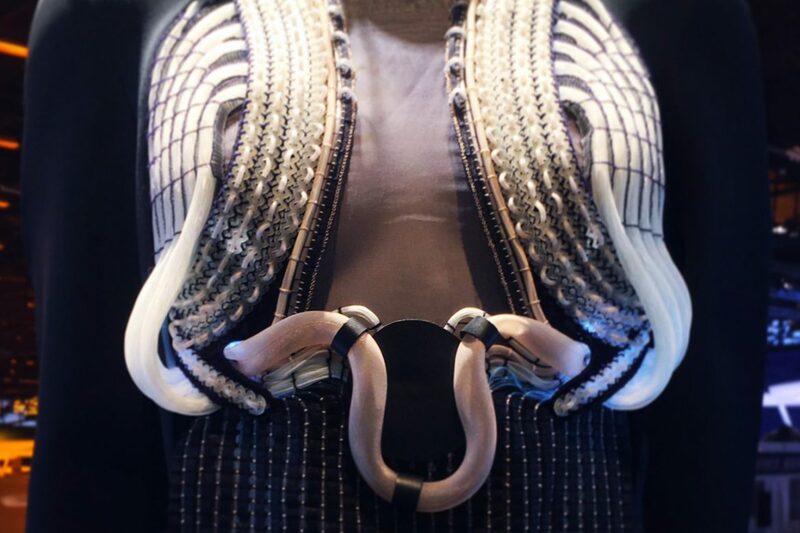 The sensors and moveable arms on the dress help to create a defined boundary of personal space. “This robotic dress attacks when you come too close” she explained. 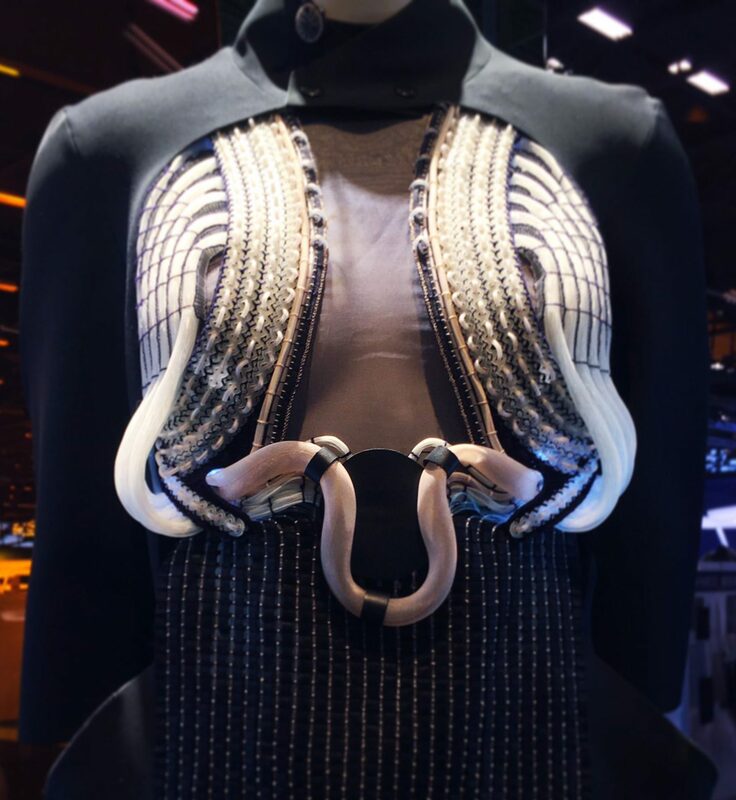 Another dress showcased at the Première Vision Wearable Lab was the Robotic Cocktail Dress. 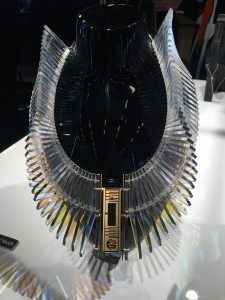 The dress has infrared sensors to detect people approaching the wearer and a connected mechanism that pours drinks to a glass installed at the heart-shaped part of the dress. To get a drink you have to play a game of truth or dare and the system will decide if you deserve your shot or not. Another artist Ying Gao, showed clothes from her Incertitudes collection that she realised in 2013. 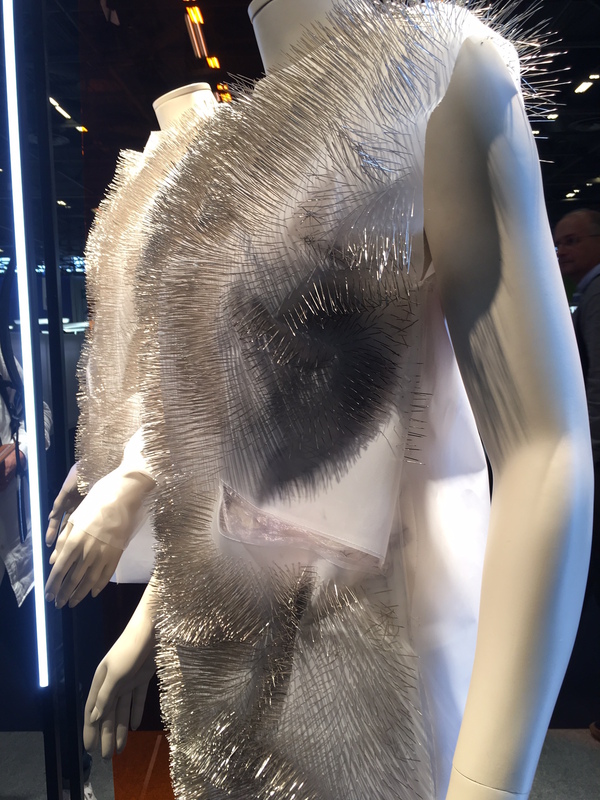 The garments are made with thousands of pins with embedded sound tracking system. The system detects voices of spectators and makes the pins move in a beautiful, harmonious way. The idea was to show another approach to clothing where they can engage in a ‘conversation’ with the surrounding people. 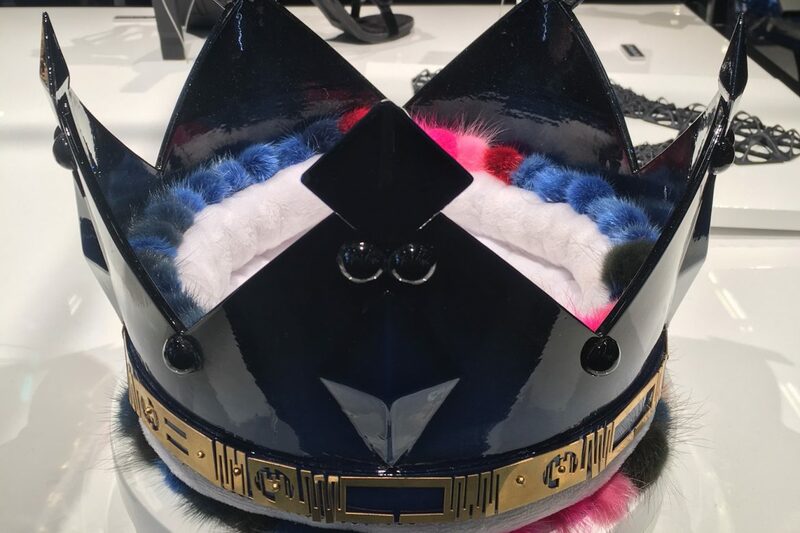 Designer Sarah Anagold showed two pieces resulting from her cooperation with Avery Dennison: a necklace and a crown embedded with RFID technology. 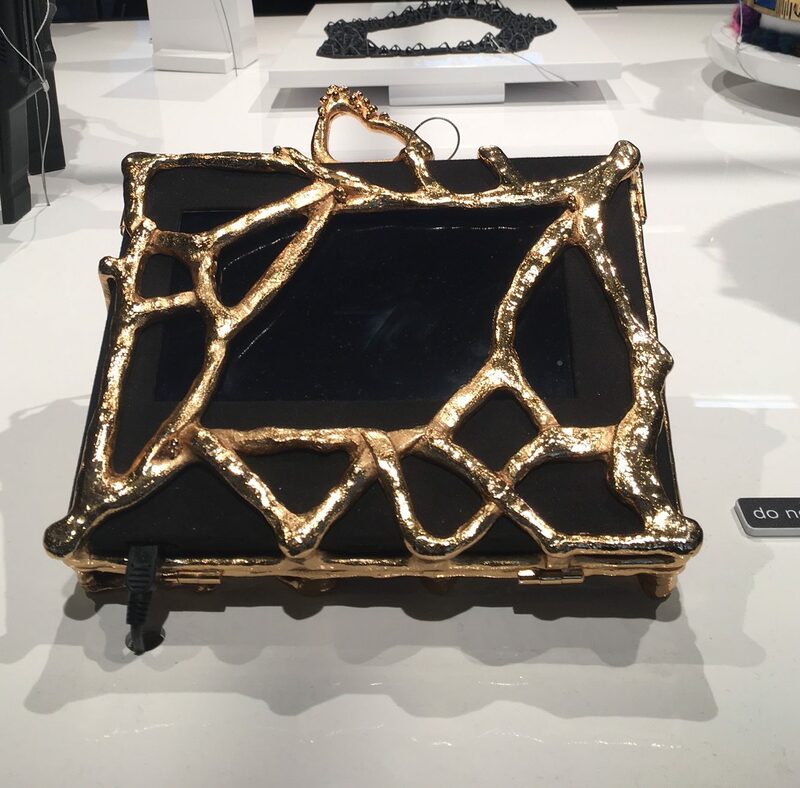 They work with interactive mirrors that provide detailed product information for instance about the design and production process, as well as styling recommendations. On the other side there were products of four start-ups: Digitsole, Percko, Spinali Design and Teiimo. They offered very practical applications, such as heated leather jackets for drivers of convertible cars (that you can also plug in while driving the car), connected jeans, posture-correcting underwear or comfortable smart shoes and soles that heat your feet, count your steps and calories burnt during the day. The Wearable Lab was always full of visitors: some still a bit sceptical but many fully converted and believing that new technologies will soon revolutionise fashion. This also seemed to be the conclusion of the conference organised during the fair, entitled a bit provocatively ‘FashionTech, future scene or Utopia?’. Unsurprisingly, none of the speakers seemed to think we were talking about Utopia. Hillary McGuinness from Intel spoke about various collaborations between Intel and the fashion industry, including with Opening Ceremony and the Council of Fashion Designers of America (see more in my blogpost about why tech companies are interested in fashion). 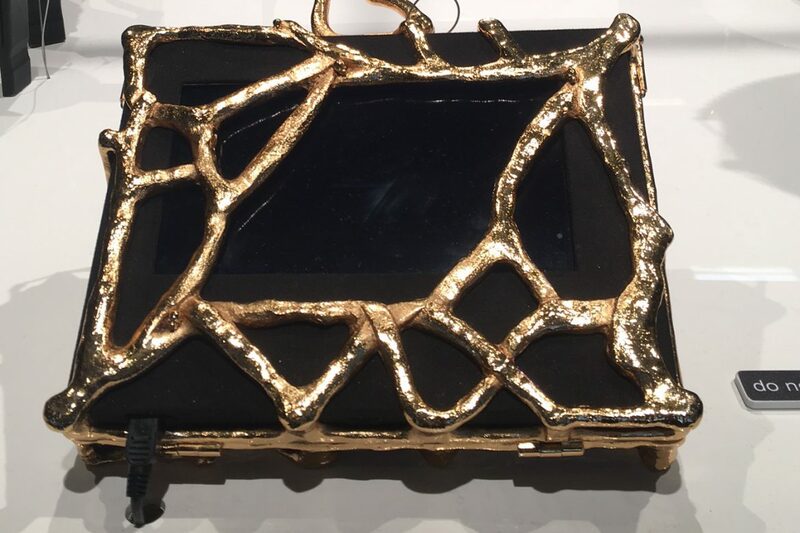 Hillary thinks that now finally FashionTech has the full attention from both the tech and the fashion communities. She believes that after a wave of very functional but not always pretty products such as smart barcelets and watches, the future wearables will at the same time solve problems and act as a stylish element of our wardrobe. It’s key that people can still wear the piece even if they don’t use their functions. Nelly Rodi, founder of the famous trend-forecasting agency says that there are some key concepts that FashionTech has to integrate. These include a surprise element – consumers want to dream and be surprised both in therms of look and function; involvement – people and brands need to feel involved to give some deeper sense to products; ‘storyliving’ – it’s no longer about storytelling, consumers want to live the experience; uniqueness – we all want to feel that what we have something special. An interesting conclusion comes from Christine Browaeys from T3Nel said that we have to learn to design a ‘calm tech’, technology for humans. This is so true: personally I sometimes feel that technology is everywhere, is empowering us and is taking the lead. But of course technology can only develop as we, humans want it to develop. In this race to deploy faster and more technologies we have to remember this. The technology is not here for itself, it’s here to serve us. And designers and other creative people can play a huge role in ‘taming’ technology, in giving it sense. They can make it more user-friendly, more environmentally-friendly, more problem-solving. This is why I believe that it’s crucial for the creative and the technology worlds to start talking and working together.